Update - as of 6/16 @ 6:20 p.m. this program is full. We will take a few for a waitlist and let you know if anyone cancels. 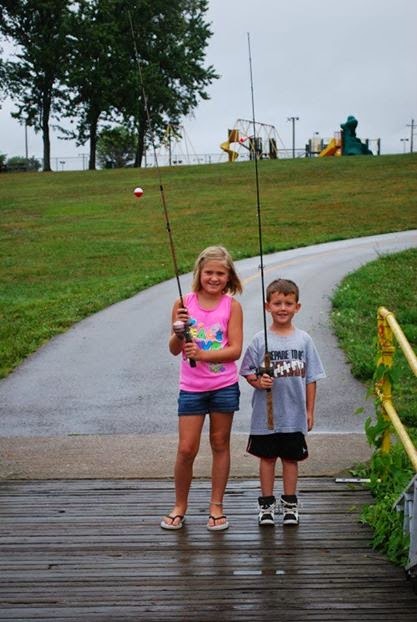 The Lytle Creek League of Conservators/No Child Left Indoors volunteers, in their ongoing mission of reconnecting children to nature, are offering the Passport to Fishing program at the J. W. Denver Williams Memorial Park in cooperation with the City of Wilmington Parks and Recreation. The program will be held July 12 at 9:30 a.m. near the park pond. This program is all about fun and education and is suitable for children ages 5-14. Registration is required and limited and we do expect this program to fill quickly. Please register HERE. For additional information contact Lori Williams, (937) 725-5756.